WBMA-TV, located on the second floor of the Bloomfield Civic Center at 84 Broad Street, is the township’s municipal access television station. Dedicated to meeting the community’s interests in the arts, education, community events, local government and informational programming, the station, found on Comcast’s channel 35 and Verizon FiOS channel 30, regularly broadcasts township council, planning, zoning and Board of Education Meetings and offers a state-of-the-art bulletin board that provides municipal and non-profit community organizations with an opportunity to publicize meetings and fundraising events. It also provides emergency announcements and important township phone numbers and notices. 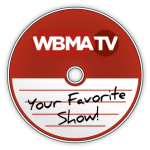 WBMA-TV also offers original programming. WBMA is a member of the Jersey Access Group (JAG). Bob has been in the television and video industry for over 15 years. Having worked for MTV Networks, Fox Network, and the Comedy Channel, Bob has developed over a dozen game shows. He has also done numerous comedy specials for HBO, Showtime, and The Lifetime Network, along with a year-end countdown show for NBC. Bob has also entered the talk show circuit with "Never Too Late", hosted by Dr. Ruth Westhiemer. Has won an ACE Award for "Game Show of the Year" for "Turn It Up", a musical/trivia game show for MTV. Currently, he owns and operates his own multimedia production company, Duke Multimedia Productions, in Sparta, NJ. Darryl has worked in broadcast television production and audio-visual services for nearly a quarter century. He is a 5-time Emmy Award winner. For 15 years he was a staffer at NBC Sports where his projects included work on 5 Olympic Games, the NFL, NBA, NHL, Notre Dame Football, and the Alli Dew Tour. Other recent clients include MLB Network and the United Football League. Love gained his corporate production and management background working for consumer products companies Colgate-Palmolive and Procter & Gamble. His career began in the 1980’s as a mobile and radio disc jockey. He is a member of the Directors Guild of America and serves on the advisory board for Bloomfield, NJ Municipal Television. Stephen has a background of over 15 years of post production experience at some of the most esteemed post facilities in New York City. He has a vast depth of technical experience as well as a slew of producing credits with creative projects ranging from broadcast work with NBC, MSNBC, SNL, MTV, Showtime, and Comedy Central. A self-taught videographer, Mark is a Villanova University graduate and serial entrepeneur with 5 years of experience in Technology Infrastructure Integration. When he's not traveling abroad he can be found exercising his passionate love for his hometown via citizen journalism or dining in many of Bloomfield's fine establishments. Before becoming host of Saturday Night at the Movies on WBMA, Jack spent most of his career on the other side of the camera writing, producing, and directing corporate and broadcast television. His interest in old movies was a natural fit for his hosting duties on the show. Jack now owns the northern New Jersey franchise territory for Amramp, a manufacturer and supplier of commercial and residential wheelchair ramps. Jack has lived in Bloomfield for more than 30 years, performs regularly as the lead singer and jug player in The Dirdy Birdies Jug Band, and also performs with several community theater groups.